The aim of the project coordinated by The Road and Bridge Reasearch Institute (IBDiM), is to elaborate the model of a device for thermal bonding of bituminous surfaces that takes the advantage of a microwave heating phenomenon. The major goal will be thermal bonding of technological longitudinal joints occurring in bituminous road surfaces, such as joints of independently paved adjacent road lanes or cracks occurring on a road surface. Innovation in the project will be the application of non-ionizing microwave radiation at unlicensed ISM band, 2400-2500 MHz, as an effective method of quick heating at technological joints of bituminous surfaces. The project will solve significant technological issues of effective bonding of bituminous surfaces, thus, remarkably influencing road durability. NGAM2 project is co-funded by the Polish National Centre for Research and Development, under Applied Reaserch Programme. B. Salski, M. Olszewska-Placha, J. Rudnicki, W. Gwarek, T. Karpisz, S. Reszewicz, "Design of an Applicator for Microwave-Assisted Bituminous Surface Thermal Bonding", 2015 IEEE MTT-S Intl. Microwave Symp., Phoenix, 17-22 May 2015, TH1F-2. 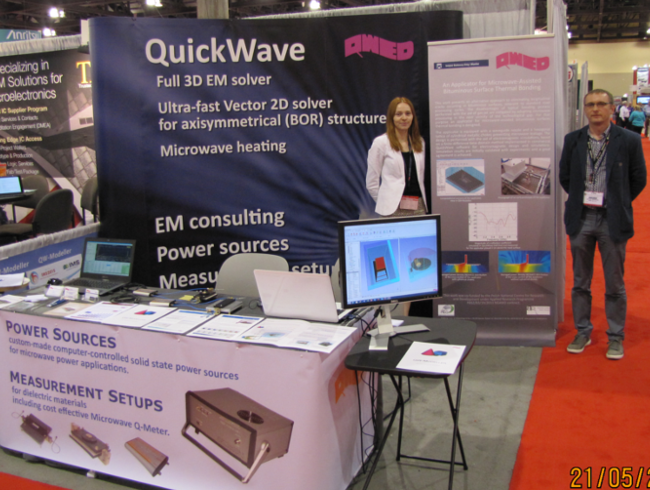 Dr. Marzena Olszewska-Placha (NGAM2 project engineer) and Janusz Rudnicki (NGAM2 project manager) present 'An Applicator for Microwave-Assisted Bituminous Surface Thermal Bonding' poster at the QWED's exhibition booth in the IEEE MTT-S International Microwave Symposium in Phoenix, USA. 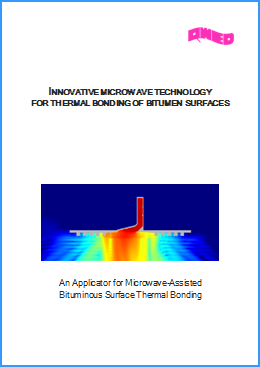 Download 'An Applicator for Microwave-Assisted Bituminous Surface Thermal Bonding' brochure. 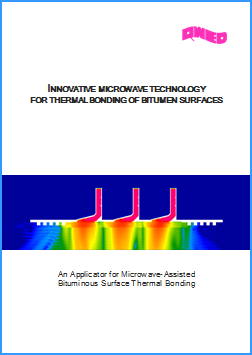 Download 'An Applicator for Microwave-Assisted Bituminous Surface Thermal Bonding' poster. 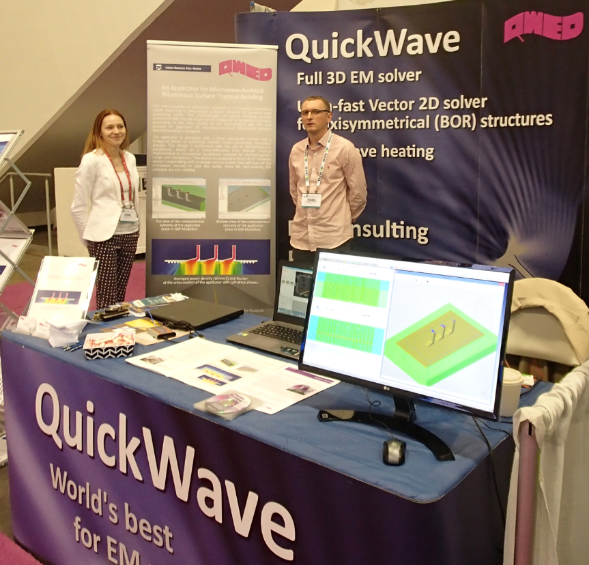 Dr. Marzena Olszewska-Placha (NGAM2 project engineer) and Janusz Rudnicki (NGAM2 project manager) present 'An Applicator for Microwave-Assisted Bituminous Surface Thermal Bonding' poster at the QWED's exhibition booth in the IEEE MTT-S International Microwave Symposium in San Francisco, USA.